M4A is an audio format which is developed by Apple. It has a smaller file size and good audio quality compared with MP3 and many other audio formats. In this article, I will present 2 free and handy methods to help you convert YouTube to M4A without any hassle. Do you want to extract the music from YouTube video for enjoying music anytime, anywhere? As a veritable music fan, I am always attracted to the background music and music video on YouTube. Therefore, I am always wonder whether can I download song from YouTube or extract music from video for offline playback. Based on my own experience, I finally have found that M4A may be the best format for Apple users to enjoy beautiful music! It not only has small file size, but provides good audio quality too! Therefore, at here, I want to share with you the 2 free and handy methods to convert YouTube to .m4a! Convert YouTube video to M4A, OGG, FLAC, MP4, etc. without hassle. Easily download YouTube video and audio with simple clicks. Convert videos to the formats supported by YouTube for successfully uploading to YouTube site. According to my own experience, Free HD Video Converter Factory is my favorite among the audio converters I have used. 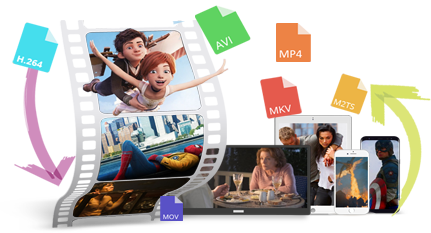 It is not only a functional free video & audio converter, but also is a reliable YouTube downloader and converter which supports to convert YouTube video and audio to many other 300+ formats and devices as well. Such as converting YouTube to FLAC, OGG, etc. Before you start converting YouTube video to M4A file, please make sure whether it is legal to download YouTube videos and audios in your country. WonderFox does not allow to download any YouTube Video and audio for distribution, sale and commercial purpose! 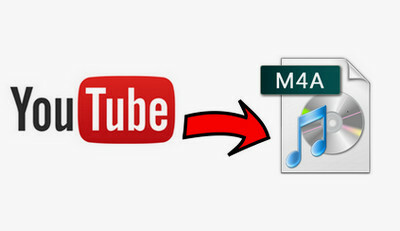 Before start, please free downloadfree download, install and launch the the YouTube M4A Converter. 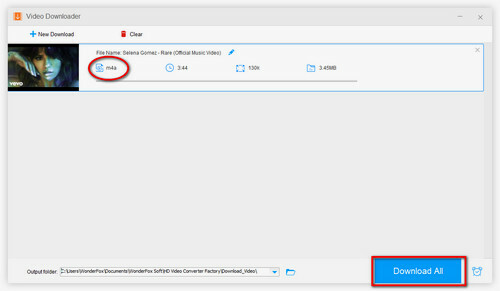 Clicking “Download Video” button on the top of the YouTube to M4A Converter which will pop up a new “Add New Download” interface. Go to YouTube, copy the URL of your desired YouTube video > Go back to the YouTube M4A downloader > Paste your desired YouTube video URL to “Add URL” box > Click “Analyze” > Click “Download” button to make preparation for converting YouTube to .m4a. 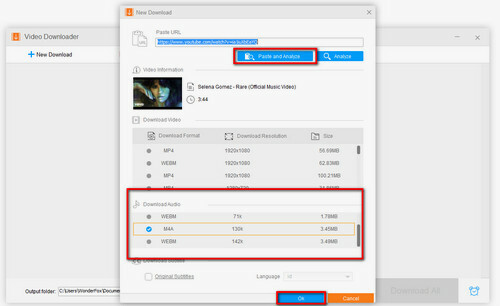 The downloaded YouTube video will automatically add to the download task list and will present on the program’s window. What you need to do is to select the output format after finishing the download work. Click “Output Format” on the right side of the program > Press “Audio” tab > Select “M4A” as the targeted output format. You are also able to convert YouTube to OGG, FLAC, etc. for enjoying the music in YouTube video. You can see that there is a “Yellow File Folder” at the bottom of the YouTube Converter. Clicking it to set the output path and finally click “Run” to start YouTube M4A conversion! Tips: If you want to do more settings of your file, you can click “Settings” option at the lower-right corner of the program to change the sample rate, bitrate, etc. In addition, you can also simply merge videos, edit your video and audio file, etc. In order to find the most workable and easiest method to download YouTube to M4A, I have tried some online converters too. And I have found that online conversion usually being limited by file size and network connection. If your desired YouTube videos have a relatively small file size, converting YouTube video to M4A online is also a good idea. 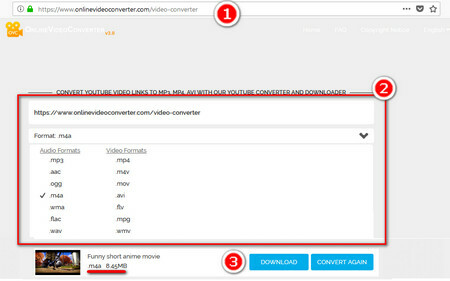 https://y2mate.com/ and https://www.onlinevideoconverter.com/video-converter are 2 easy to use online converters. 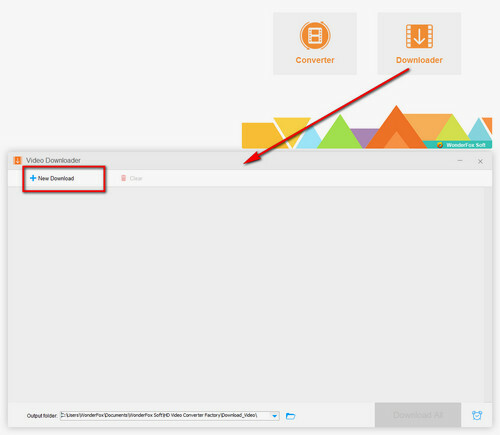 Step2: Copy the YouTube video URL you want and paste it to the online convert page. Choose M4A as the designated format under the drop-down list of “Format Selection” box. And then click “Start” button to convert YouTube video to M4A. Step3: After finished YouTube video URL analysis, click “Download” button to save the YouTube M4A to your local hard drive. Tips: There are many advertisements and pop ups when you download and convert online. Therefore, you have to pay attention that do not click any advertisements! In terms of my own experience, downloading and converting YouTube to .m4a through a desktop YouTube converter is safer and quicker. Free download it here to have a try! HD Video Converter Factory Pro is a powerful video downloader and converter which supports to download 1080P video and movie from YouTube, Dailymotion as well as many other video hosting sites. Most importantly, it enables to convert videos to 300+ formats and devices in batches.